I’m all about wearing statement colors and red is one of my most favorite. Red is bold. Red is bright. Red in vibrant. Red is beautiful. 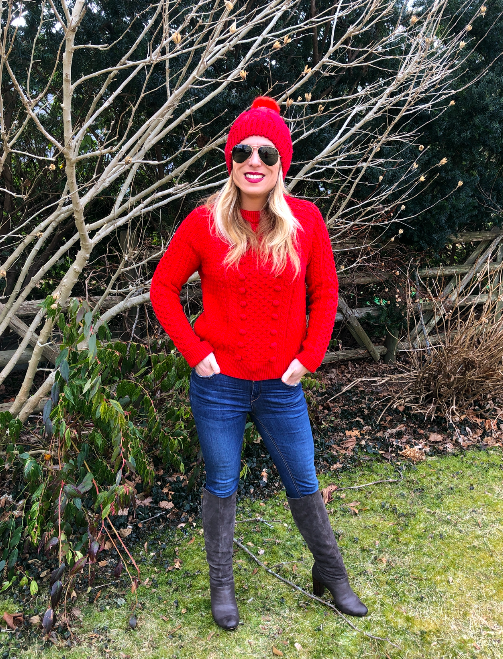 February 1st just happens to be National Wear Red Day, so TODAY is all about sharing my love for the color red and showcasing how you can wear a red sweater 3 different ways – you ladies know I like to show: how to wear to work, how to wear on the weekend and how to wear for some playtime! 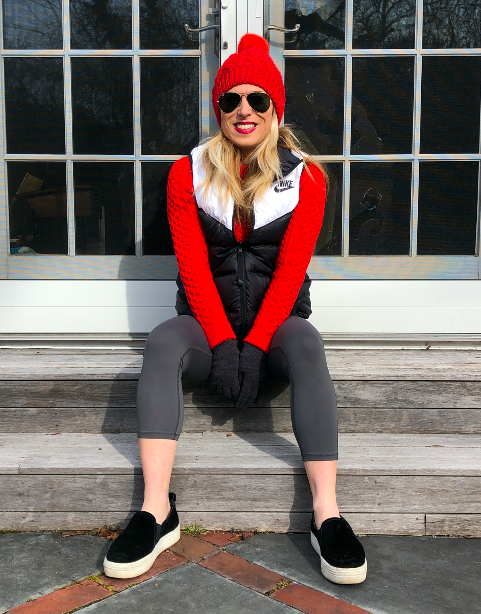 National Red Day couldn’t have come on a more perfect day – Fashion Friday, too! Boom. 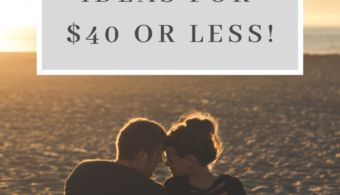 Ladies – I’m ALL about this series because I’m keen to show you how you can take key items IN YOUR CLOSET and make them work in a variety of different ways. 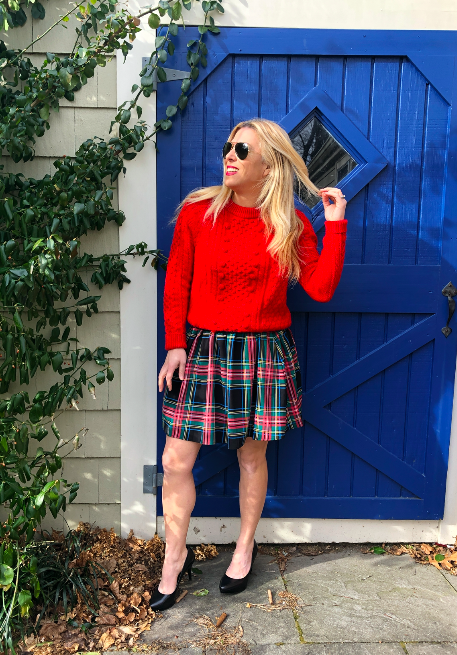 Don’t just think red sweater in one way, I want to show you how you can literally pull if off 3 different ways, to wear 3 different places! Let’s kick off this week with the WHAT TO WEAR TO PLAY style! I’m going on a date tonight with my main man and I want to wear red. 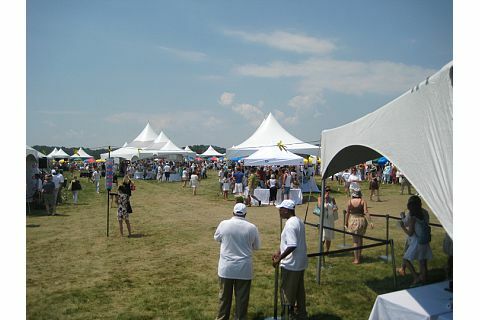 Since it’s FREEZING here in Rhode Island right now – I’m in desperate need of a hat, too! I took my red sweater (from J.Crew) and paired it with a pair of skinny jeans (dark wash) and suede boots. This is such a classic and fun look, but it’s also very easy for any woman to pull off! Here’s the skinny on the skinny jeans – you need a pair that is going to fit to your body like a glove. You really need to make sure you have jeans that work well with high boots (and that they are comfy, too!). 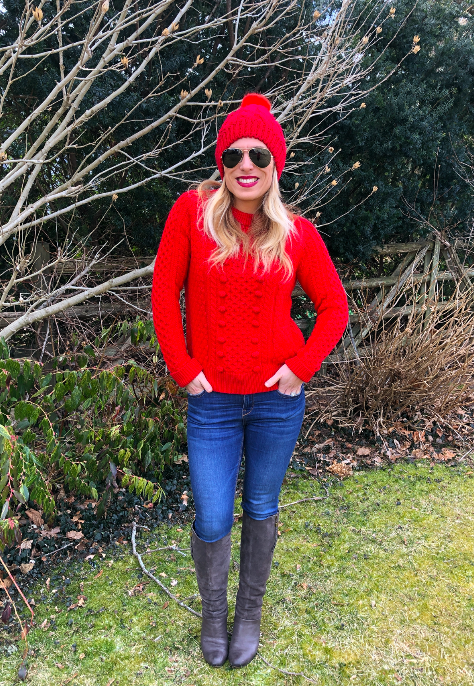 I love wearing this outfit on National Wear Red Day because it really does make this entire outfit pop – from the hat to the sweater! I’m telling you – I’m loving this look to pieces! It’s fabulous when you can find items that work for work, too. 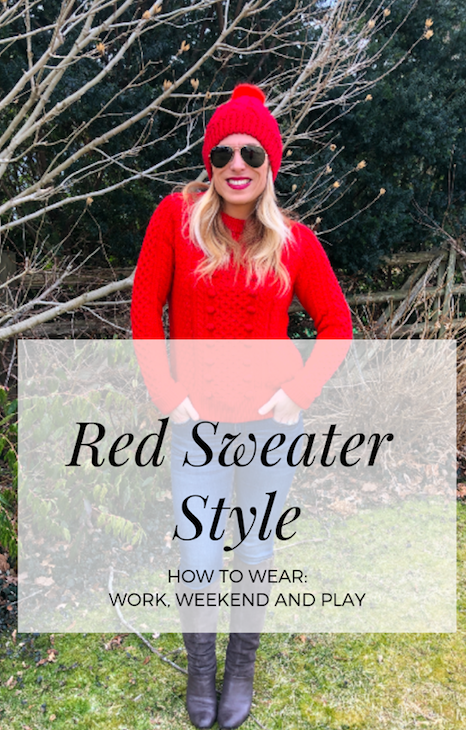 Work wardrobes need to be appropriate and classic and chic and this red sweater takes the cake for it! 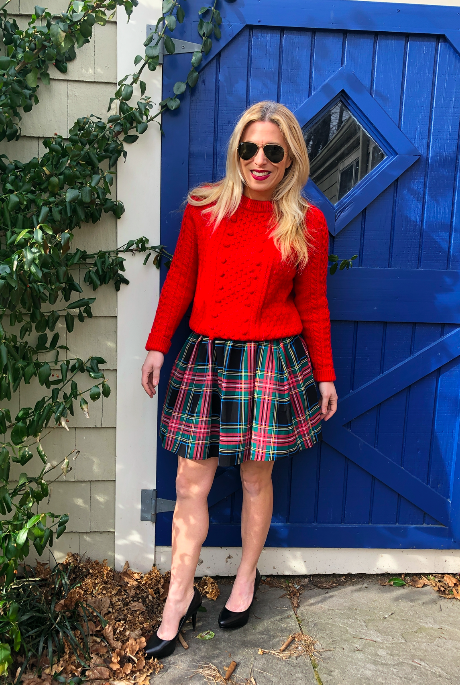 I grabbed a plaid skirt that I am in love with and matched my red sweater with it. It’s a cute look and very easy to pull off – I just added some black heels – see DONE! Perfection time! I love that this look could be worn out, too! But this look is very cute and really is very classic. Plaid is one of the most classic prints you’re going to find. It’s just fabulous. OK… the coziest of all! Let’s face it – not many mamas are dressing up on the weekends! We love to rest and relax and just kick it on back! Here is an easy way to rock your weekend look. 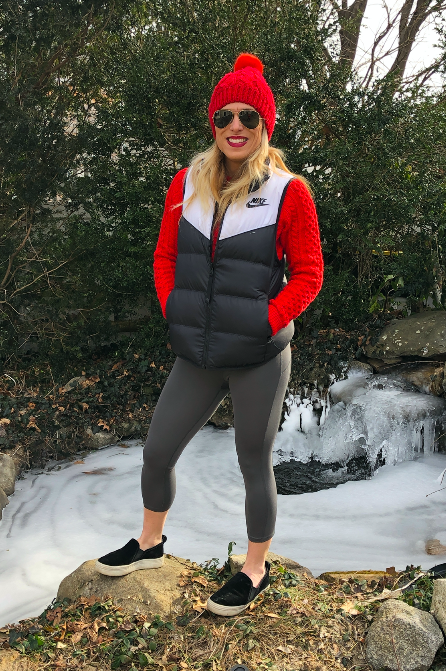 I grabbed some comfy sneakers, my Nike puffer vest and my leggings and paired with my red sweater! Super comfy and super cozy! 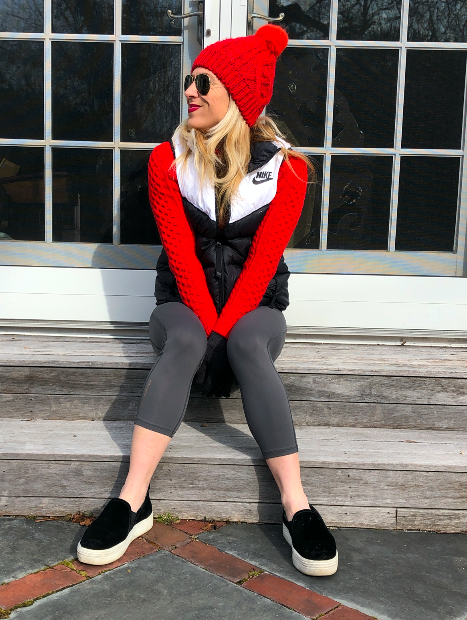 My weekends are all about chasing the kids and heading to their events, so this look is simple and comfy and I’m able to do everything that I need to do… it just WORKS. I love that I can actually pop in and out and do things on my own when I need to and STILL feel a sense of fashion about myself! That’s not a bad thing! 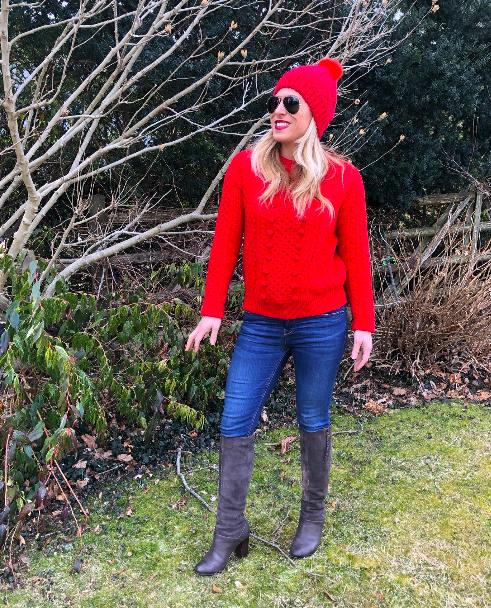 Loving all these easy looks on National Wear Red Day and just when I feel like wearing RED! There you go!! 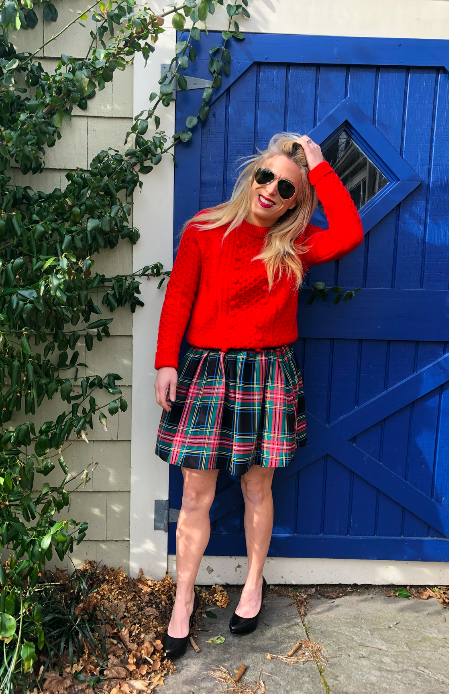 And I’m including below a slide of all the items I’m wearing so you can shop! I love finding items that work and these items just WORK!